Equestria Daily - MLP Stuff! : More Evidence Season 9 Is The Last For Pony? Quite some time back information surfaced that seemed to indicate that season 9 would be that last season for pony. But considering how that information was obtained and how circumstances can change in the world of TV horses it hasn't been 100% confirmed. 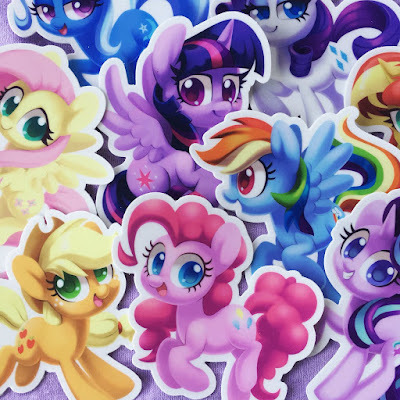 Recently, during a conversation thread where Mike Vogel was debating someone about Starlight Glimmer he interestingly mentioned that with a year and a half to go it seemed a waste of energy to go after one of 25 to 35 characters. This would seem to line up with the current understanding pony would end with season 9. Of course things can still change, the staff in the beginning thought season 3 would be their last but ended up with six more seasons on top of it. Still, it looks like we have more evidence the end is slow creeping up on us. Check on after the break for the tweet as well as source link. Thanks to Deep for the heads up.